PICKIN' FOR PISMO PRESERVE: Great bluegrass-and-beyond band Cuesta Ridge headlines an awareness and fundraising concert on May 4 at Dinosaur Caves Park for The Land Conservancy’s efforts to purchase the Pismo Preserve and make it permanent public open space. Man, I love the Central Coast. It’s such an amazing place to live, between the weather, the landscape, and the people, most of whom, like me, seem to appreciate the natural splendor around us. One reason we have so much amazing natural open space available for recreation is thanks to The Land Conservancy of San Luis Obispo County, an organization that works tirelessly to acquire open spaces and make them available to the public as well as protect habitat for local flora and fauna. They’re now trying to raise $11.7 million to purchase the Pismo Preserve, a nearly 900-acre parcel. This Sunday, May 4 at Dinosaur Caves Park in Shell Beach from 11 a.m. to 4 p.m., The Land Conservancy will host a free community concert called the “Pismo Preserve Rally & Benefit Concert,” with bands and artists performing throughout the day. The show starts with Ragged Company (Tim Pacheco and Cindy Myers) and their mix of Americana, folk, oldies, and originals. Rally for the Preserve will take the stage, featuring Gale McNeeley, Ken Norburg, and a group of students from PCPA Theaterfest, performing the wacky and original ditty, “Pismo Preserve Anthem,” followed by a conservation sing-along. Anne and Will Dunbar of Musique a Trois will bring their Bourbon Street-style musical entertainment to the stage. 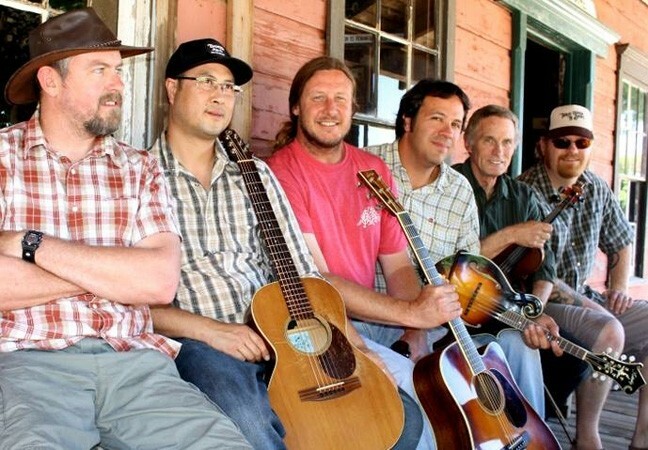 Event headliner Cuesta Ridge will share their eclectic bluegrass-and-beyond music. A silent auction with original art and handmade crafts and two mountain bikes donated by Ira’s Bike Shop will also help raise funds. Sneak a peek at the auction on The Land Conservancy’s Facebook page. Get more info at LCSLO.org or call 544-9096. 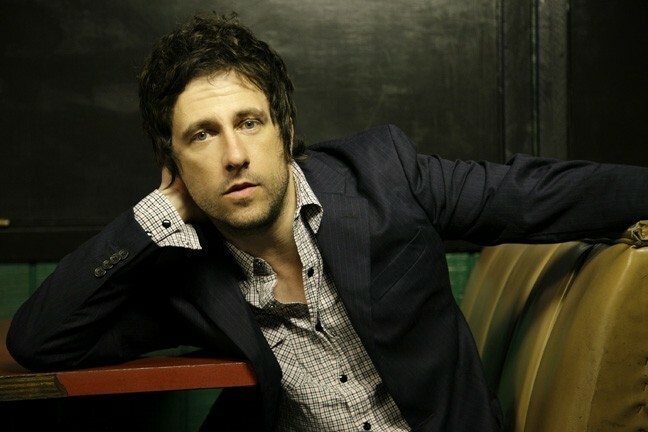 NEVER GIVE IN: Nashville singer-songwriter Will Hoge returns to SLO Brew on May 7 to sing songs about his indefatigable spirit. 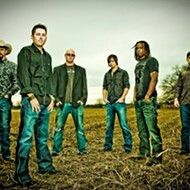 This week, SLO Brew has both kinds of music, country and western. Just kidding. Try reggae and country. Louder Space plays on Friday, May 2 (7:30 p.m.; all ages; $10 presale or $12 at the door), with Eliquate and the Fire Department. Louder Space delivers high-energy rock “with reggae vibes and funk feels.” The Central Coast band’s released three singles and two corresponding music videos. 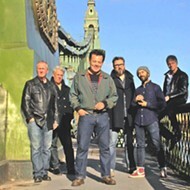 “If all we have are dreams, then dream big,” says Elliot Wright, frontman and philosopher for the five-piece, California beat rock troubadours, Eliquate, on their latest EP, Who The F*ck is Eliquate? The Fire Department is a quintet founded on “the love of playing fun, funky, and soulful music, channeling a positive and vibrant energy, and making a personal connection with every crowd they perform for,” their bio says. More reggae is on hand when Fortunate Youth plays on Sunday, May 4 (8 p.m.; all ages; $10 presale or $12 at the door), with The Wheeland Brothers. Fortunate Youth is a collaboration of South Bay reggae standouts. The Wheeland Brothers are two Southern Californian brothers who grew up in Orange County “surfing, scarfing down hole-in-the-wall Mexican food, and jamming around bonfires,” they say. Finally, country crooner Will Hoge plays on Wednesday, May 7 (7:30 p.m.; 21-and-older; $14 presale or $16 at the door), with Matt Stillwell. Hoge, a Nashville singer-songwriter, is a real road warrior, crisscrossing the country to spread his music. His ninth album, Never Give In, is a collection of 11 songs about maintaining an indefatigable spirit. Bobby Meader Music, an acoustic folk-punk singer-songwriter from Las Vegas, plays the Frog and Peach on Thursday, May 1, at 7 p.m. for free. I listened to his YouTube video “Cutthroat Ferry Session,” an acoustic version of a song off his second album My Coffee’s All Cold, and dug his energy and raucous vibe! Take a break from Farmers Market and check him out. Get a sneak peak of Opera San Luis Obispo’s upcoming Mother’s Day weekend production of Show Boat this Friday, May 2, during the free Brown Bag Concert at SLO’s First Presbyterian Church when Brian Asher Alhadeff, Artistic and General Director of Opera San Luis Obispo, along with cast members, perform for free! 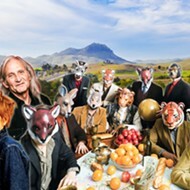 Tickets for the Saturday, May 10 (7 p.m.), and Sunday, May 11 (2 p.m.), performances of the complete show in the PAC are available at pacslo.org or by calling 756-4849. Grab your lunch and join the free mini-concert at noon in Wilson Hall, on the corner of Marsh and Morro. Doors open at 11:45 a.m. for this special noontime event. Call 543-5451 for more info. MASH-UP! 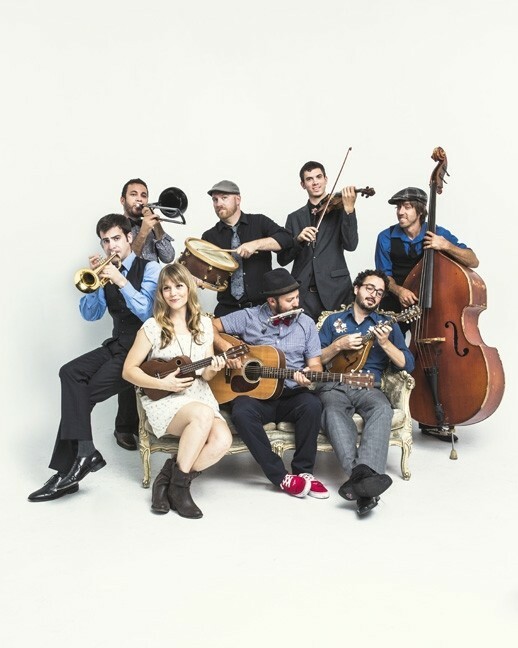 : The Dustbowl Revival plays a Red Barn Community Music Series concert on May 3. The Dustbowl Revival plays the next Red Barn Community Music Series concert this Saturday, May 3, (potluck at 5 p.m.; concert at 6; $10 to $15 donation requested), in the Red Barn in Los Osos. 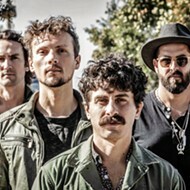 The Venice, California-based collective blends “old school bluegrass, gospel, swamp blues, and the hot swing of New Orleans to form a spicy roots cocktail,” according to press materials. “Known for their roaring live sets, the Dustbowl Revival boldly brings together many styles of traditional American music. Imagine Old Crow Medicine Show teaming up with Louis Armstrong’s Hot Fives and Sevens, or Bob Dylan and The Band jamming with Benny Goodman and his orchestra in 1938. It’s infectious, joyous music—a youthful take on time-worn American traditions.” That sounds pretty freakin’ good! Maybe that’s why they were voted “Best Live Band in LA” by the LA Weekly! Local music guru Cliff Stepp wrote to tell me about Luis Oliart, playing Saturday, May 3, from 7 to 10 p.m. in Pismo’s Shell Café: “I’ve caught Luis’ act about a half dozen times and keep going back for more. A good guy, teacher of children, and a great musician. And now, The Luis Oliart Band, featuring Debra Windsong, locally famous for her soulful blue harmonica skills and vocals,” have joined forces. The cover’s $10. TRIPPERS: Seattle-based indie band The Horde and the Harem play the Frog and Peach on May 6. Ghosts of the American Road, a husband and wife duo featuring Kevin Higgins and Barbara Malteze, play the Songwriters at Play singer-songwriter showcase on Sunday, May 4, at Sculpterra (1 p.m.; all ages; free). “Kevin and I met in L.A., right before the ’94 Northridge quake,” Barbara explained. “We left shortly thereafter for Austin, where we’ve been ever since, playing in our Texas band and working on our national duo project. It will have been 20 years since we’ve been back to the West Coast, so we’re thrilled about this tour.” Visit songwritersatplay.com for a complete listing of their weekly showcases. 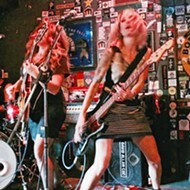 Seattle-based indie band The Horde and the Harem are on the road in support of their new EP released April 12. 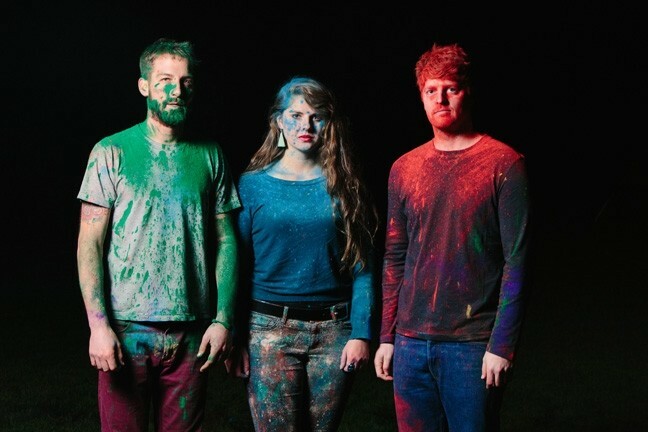 They play the Frog and Peach on Tuesday, May 6, at 10 p.m. “We’ve been getting some great reviews on the new EP and video lately from NPR’s The Current, Performer Magazine, UTG Review, and the EP was recently added to rotation on KEXP!” said percussionist Justin Ellenson. “Lots of fun stuff happening!” The EP’s got a trippy, engaging sound with hooky melodies and lots of texture! They remind me a bit of Edward Sharpe & the Magnetic Zeros. Good stuff! 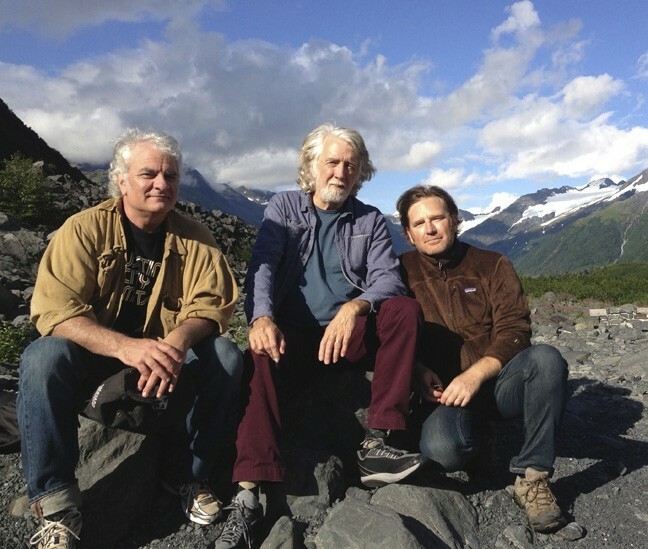 NITTY GRITTY: John McEuen, founding member of the Nitty Gritty Dirt Band, plays with Matt Cartsonis and Craig Eastman on May 7 at Blacklake Golf Resort.